The natural color scheme of autumn is a palette of browns, tans, oranges, reds, and yellows. But no true fashionista can manage the season without adding a touch of personal flair into the mix! 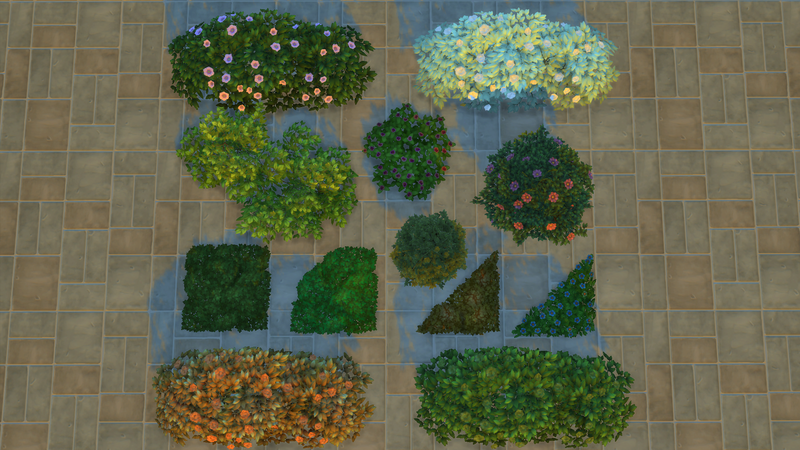 From the changing season to the runway, turn your Sim into the upcoming trendsetter of earthy hues. 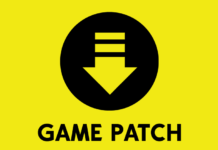 Note: Click the image for the custom content source download. 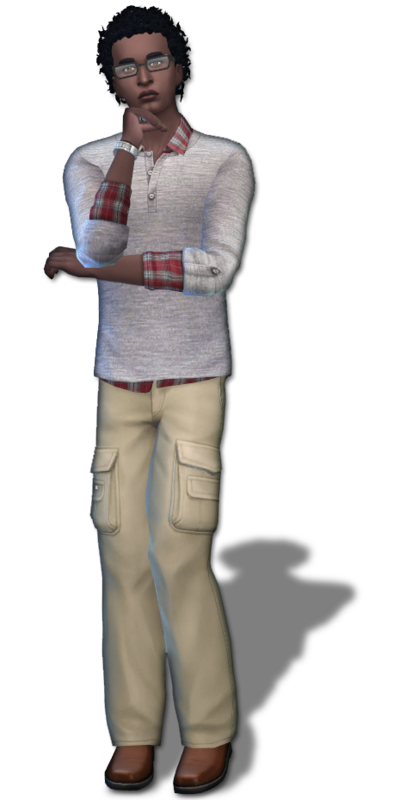 With the chilled autumn air hinting at just a touch of winter on the other side, some Sims just want to keep their sleeves rolled up! It doesn’t matter to them that their friends are drinking warm beverages and looking at them with disdain from behind their rather large and figure hiding coats! 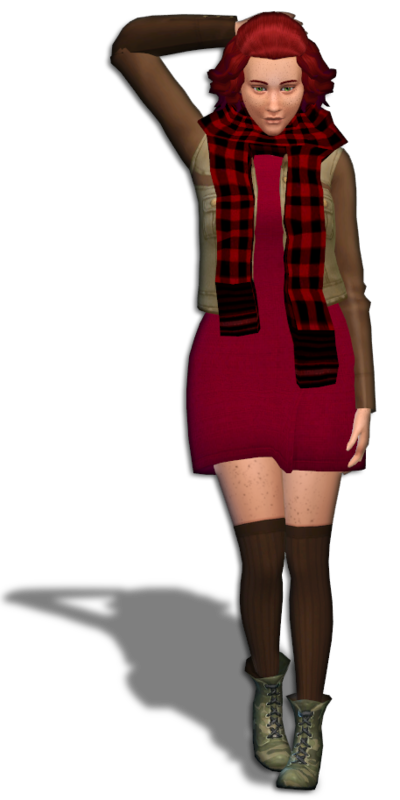 This look is pulled off just right with a Cherry Bomb hair side swept and unkempt for that “Who needs a coat?” savvy. 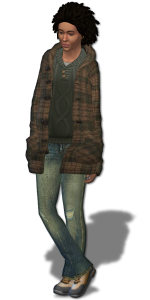 It’s personality is brought together by a matching trendy neck scarf and bell bottoms. 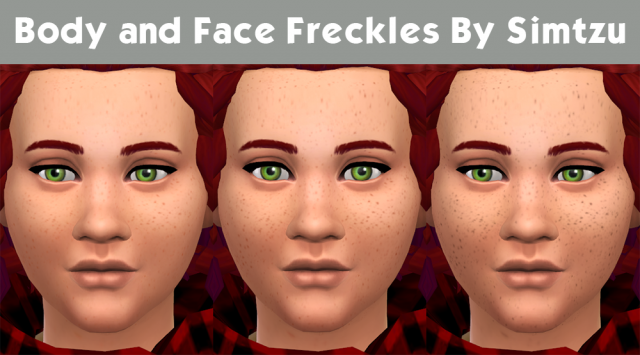 Pout up your Sims’ lips with a vibrant but seasonal red or brown, and your Sim is ready to strut their confidence down the street! 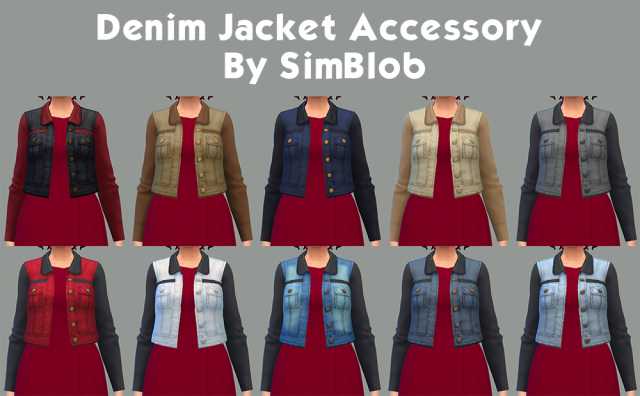 Not everyone has mastered the art of becoming a fashionista, and in these many cases, a Sim will do just about anything to get the nagging off their back! 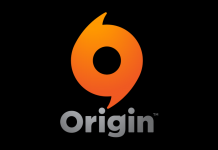 These are the Sims that feel tossing a large scarf around their neck will fix anything whether it be a bad shave, a love mark or two, and yes, even a bad outfit. These Sims are worst when confronted about their casual appearance. 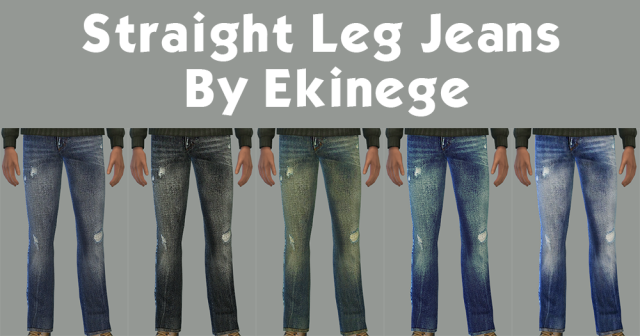 The leftover Summer jeans are usually riddled with holes, scrapes, and a broken loop. 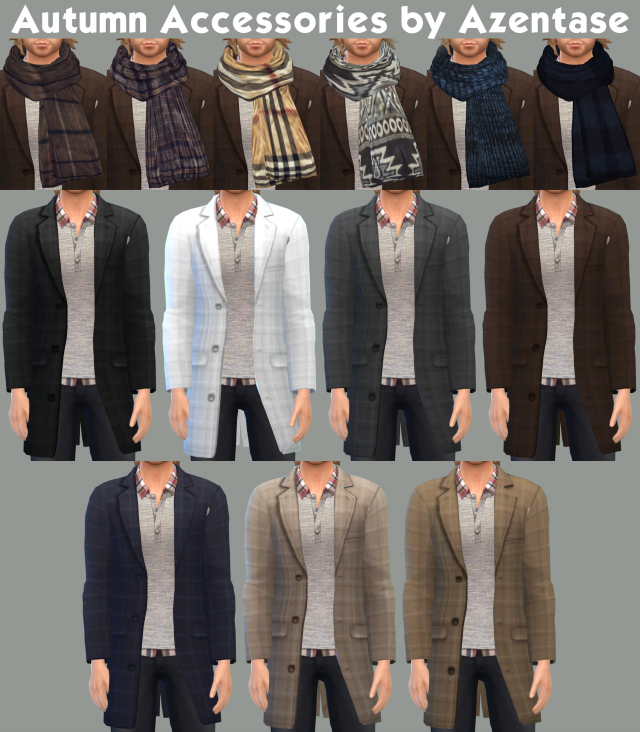 Your Sim might have just crawled out of bed, but at least their coat and scarf look good! 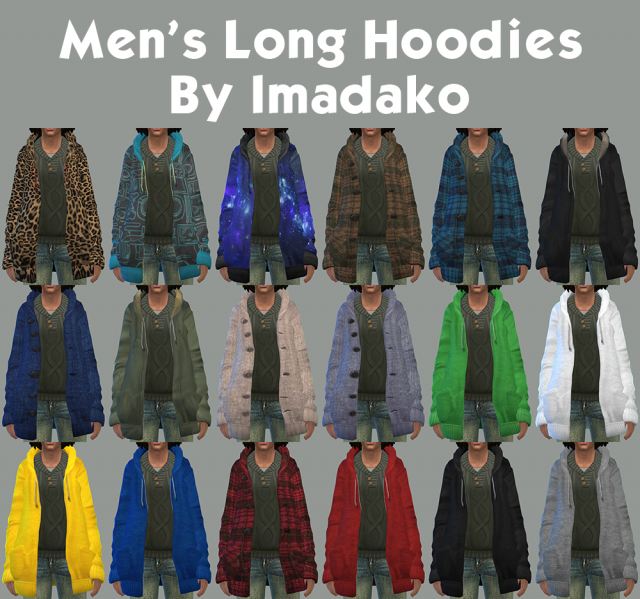 Just because your Sim needs to throw on their raincoat for the season doesn’t mean they can’t look super attractive while doing so! Your diva just needs a matching set of that otherwise unsightly bright yellow to bring together a new headturning style! 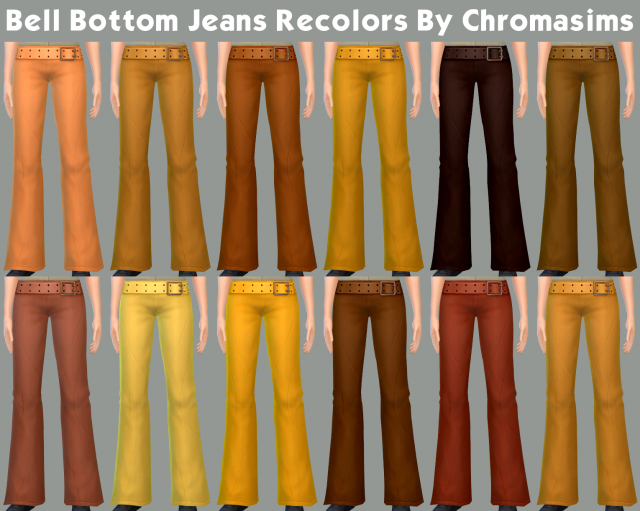 Making sure to find those ‘just right’ leggings for in between, keep them dark and natural tones to complement your Sims’ skin tone. The slick texture of the form fitting raincoat and boots will draw all the attention to the personality of the ensemble instead of its utility. 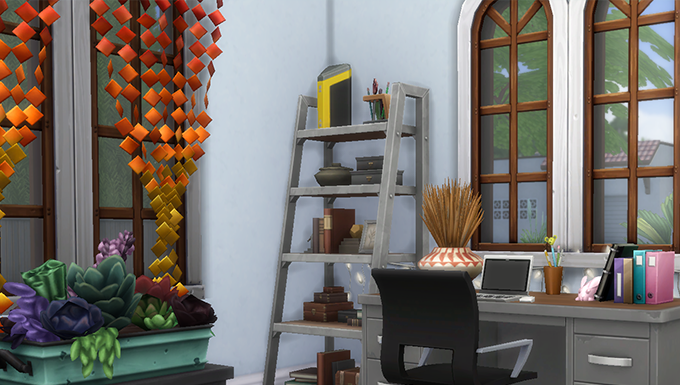 Add some bright, waterproof makeup and your Sim is ready to face their rainy days with a bit of sunshine! 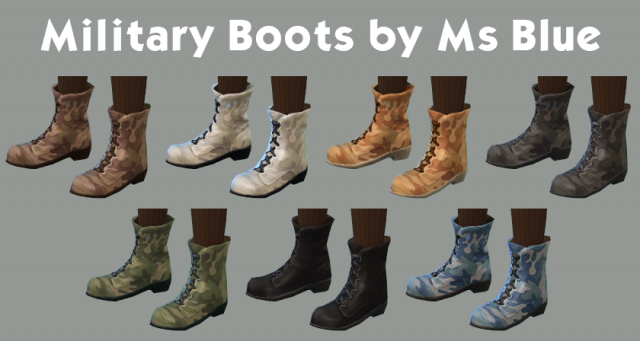 For the times when your Sim wants to be fashionable and comfortable! Draw back your Sims’ hair, toss on the largest coat they can find, and slip into some satisfyingly snug yet slightly worn jeans. 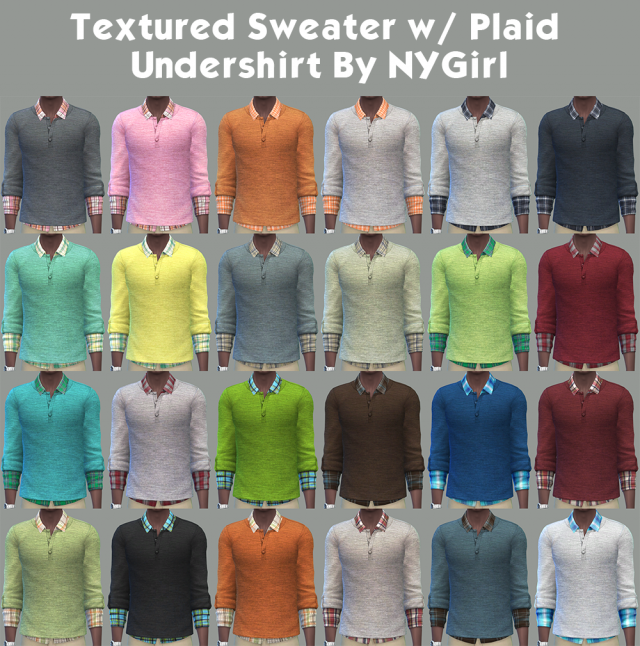 For an added layer of warmth, your Sims can cozy into a sweater underneath the coat for those extra chilly autumn evenings. Even the more shy Sims have found their niche in the Autumn fashion shows this fall! 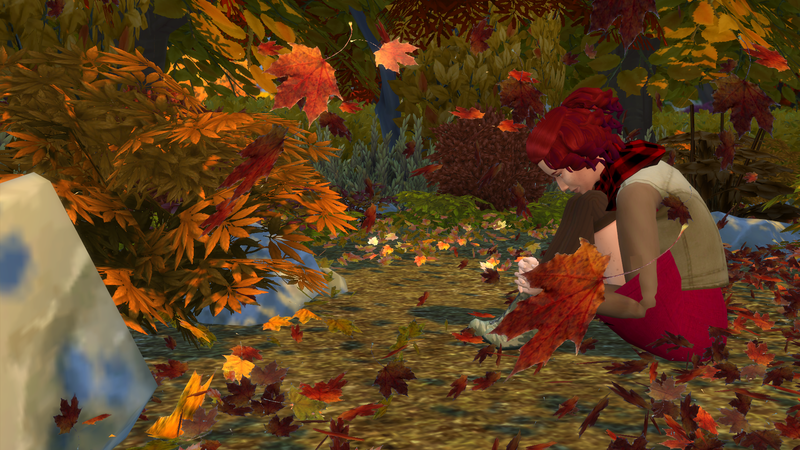 Nothing brings together a redhead’s natural freckled toned skin and the season of changing colors as a few crimson accessories to match the falling leaves. 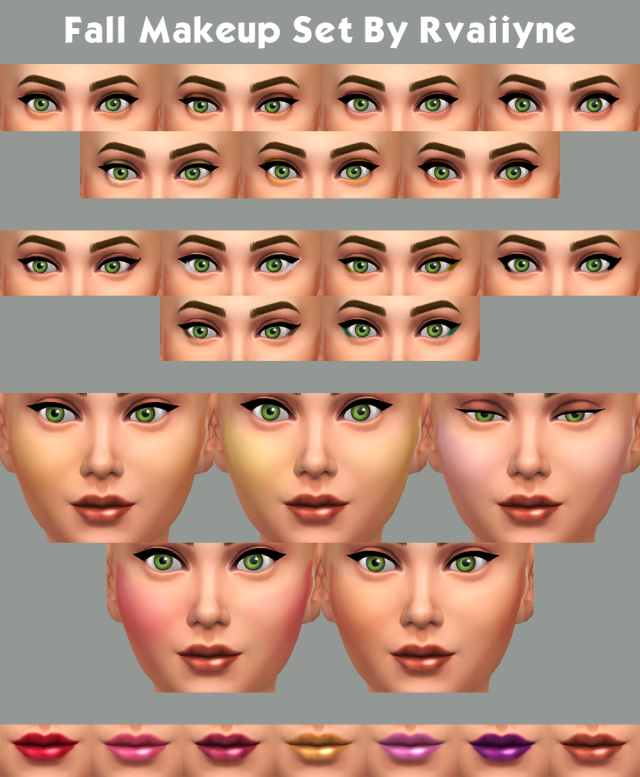 Adding a huge of light brown and green to match your Sims’ eyes will add as contrast against the plump and natural blush of a healthy skin tone. Accessorize with some leg warmers or knee high socks to compliment the outfit with neutral tones and keep your anti-social fashion lover warm for the season. 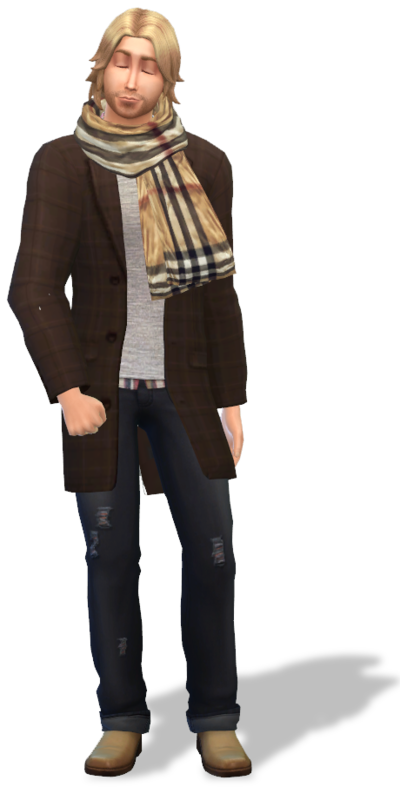 Some Sims wear their intentions on their sleeves and for these designer wearing brainiacs, they have the fall fashion already plotted out! For the simple outfit, they dress for the temperature with a partially long sleeved shirt and khakis for the next meeting. 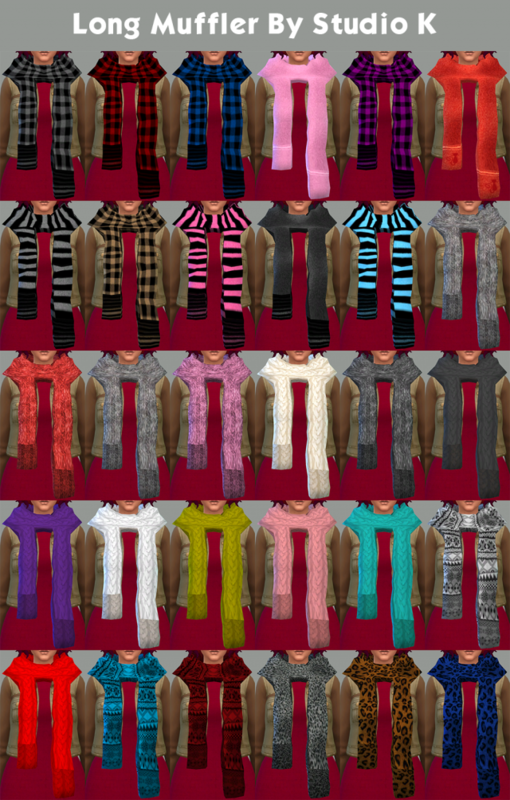 Dipping right down into those cargo pockets, a scarf and gloves are readily accessible on standby! 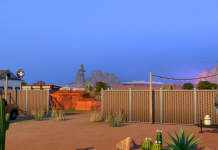 But don’t downplay the sleek design of the smart Sim! Accessories are the key to bringing another elegant statement whether it’s with a watch, glasses, or a wallet chain. Add some bling to bring out the style making this outfit ideal for minimalists everywhere! Don’t spend one of the most colorful seasons of beauty and change cooped up at home! 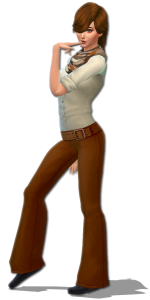 Have your Sims dress up and make their stride. Who knows where they’ll find their inspiration next!